Don't miss this classic bright & spacious open concept 3 BR, 2BA post & beam home w/100' of Great Sacandaga Lakefront. Open kitchen w/granite counters, newer appliances, Kampas wood floors & gas FP. 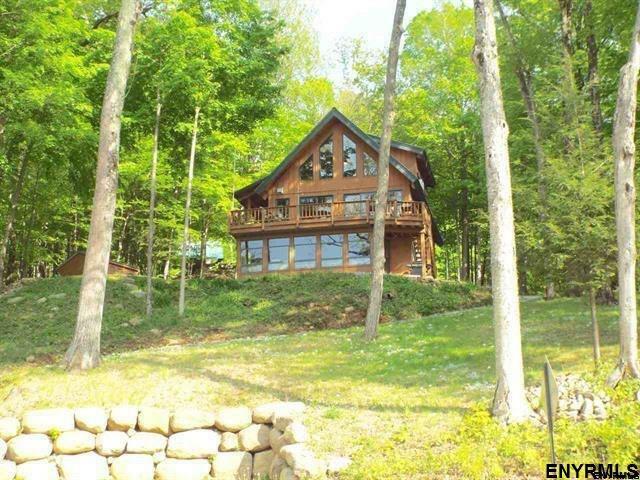 Lake & mountain views can be enjoyed from 2 spacious decks. Dock is included.